Planning a corporate event is stressful enough, but arranging efficient and professional transport doesn’t have to be. With London Coach Hire Company, we put professionalism and timeliness first because we know how much effort goes into planning your event. 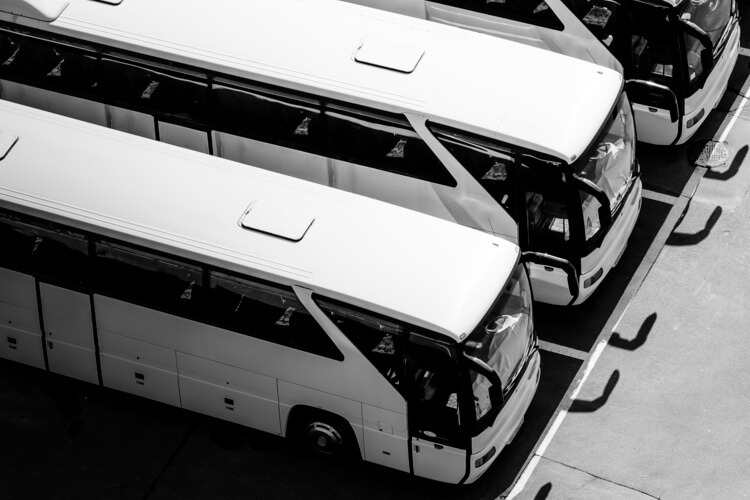 No matter what you need, we’ll be able to find a coach hire tailored to your needs in our network of over 3,000 buses. We’re available 24/7 to help you-- just give us a call at +44 (0)20 3617 1668 to speak to a reservation specialist. One little mishap can lead to a disorganised event. London Coach Hire Company understands the importance of time. That’s why we ensure your driver arrives 15 minutes before your departure time to keep your event on time and running smoothly. You can’t have an event without your attendees. Keep your employees and attendees organised with a personal coach hire. When groups have to split up on the tube or rideshare apps, they can end up lost and or late, adding chaos to your event. Instead, let your employees sit back, relax, and enjoy the ride while we handle the transport logistics. Don’t lose a single second of productivity because of travelling. When you work with London Coach Hire Company, you can request various top-rated amenities to keep your group comfortable and focused the whole ride. With amenities like WiFi and power outlets, employees can answer emails, work on projects, and continue to work while on the road. Plush, reclining seats and on-board toilets allow passengers optimal comfort when they need it, meaning you’ll have to make less stops and your group will arrive to their event completely refreshed. No matter where you’re going and what for, London Coach Hire Company is your number one resource for the most professional, modern coach hires. Call our reservation specialists at +44 (0)20 3617 1668 24/7 for your personalised quote.